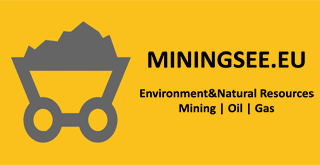 The new environment minister, following last week’s reshuffle, on Thursday opened the way for a resumption of work aimed to commence gold mining at the Skouries complex in Halkidiki, northern Greece. Giorgos Stathakis, who previously held the economy portfolio, signed a revision of a technical study addendum submitted by Hellas Gold, the Greek subsidiary of El Dorado Gold, the Canadian multinational that holds the concession for the Skouries site and the nearby Cassandra mine. The development concludes the licensing procedure as far as the specific ministry is concerned, with an updating of a building license only pending. The commencement of operation of an enrichment facility is now only months away. The decision by the new minister essentially overturns the more hostile attitude by the former minister, Panos Skourletis, to the mining project at Skouries, one of the biggest foreign direct investments in the country.